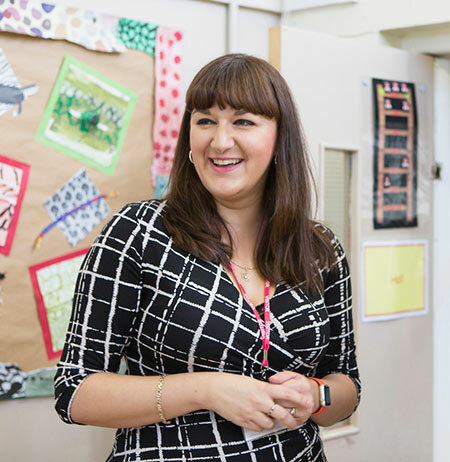 British politician Ruth Smeeth is a gutsy campaigner, not prone to emotional breakdowns. Yet the 39-year-old Jewish parliamentarian was in tears when she left a news conference unveiling a 2016 report on anti-Semitism in her own Labour Party. Why? Because while a fellow party member shouted abusive remarks at her—accusing her of conspiring with a right-wing newspaper to undermine the party leadership—Jeremy Corbyn, the relatively new Labour leader at the time, said and did nothing. Two years later, Smeeth, who accused the abuser, Marc Wadsworth, a black activist from the extreme left, of “vile conspiracy theories” against her, testified at a hearing that led to his expulsion from the party. She arrived at the hearing with a human shield of prominent colleagues because it wasn’t considered safe for her to walk unaccompanied through a crowd of protesters and hecklers. While much has been written about the direction of the Labour Party since Corbyn took power in 2015, less well known are the experiences of Smeeth and three other Jewish female parliamentarians who have been the target of prolonged and abusive anti-Semitic attacks, much of it on social media. Smeeth, Luciana Berger, Louise Ellman and Margaret Hodge have something else in common: All of them have demonstrated their determination to stand up and fight, refusing to be driven out of Parliament because of hatred. And on February 18, Berger went a step further: She resigned from the Labour Party, along with six other members of Parliament, saying she was “ashamed and embarrassed” to belong to a party that she charged was “institutionally anti-Semitic.” The new bloc—one other cited anti-Semitism as a reason for his departure while the rest pointed to Labour’s unclear strategy on Brexit—will sit together, along with three MPs from the Conservative Party, as independent MPs until the next general election. These women’s experiences, along with the future of the Labour Party, have become ever more relevant as Britain faces political turmoil amid the uncertainty over Brexit and the nation’s future ties with the European Union. Indeed, both Brexit and the anti-Semitism controversy have caused an all-out war within the Labour Party, and the level of abuse aimed at the Jewish and pro-Israel parliamentarians continues to escalate. The verbal attacks against the women are part of a marked uptick in anti-Semitism throughout the United Kingdom. Although spikes often coincide with violence in the Middle East—most notably during the 2014 Gaza war between Israel and Hamas—the rise in the number of anti-Jewish incidents in recent years is alarming. The Community Security Trust, a Jewish nonprofit that regularly monitors such incidents in Britain in cooperation with local and national law enforcement, reported a record high of 1,652 incidents in 2018, a 16 percent increase from the 1,420 cases in 2017—compared with 541 in 2008. Of the 2018 cases, the vast majority—1,300—were categorized as abusive behavior, including via social media, and 123 incidents were violent assaults. 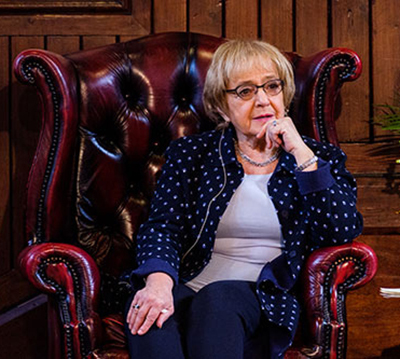 Dame Margaret Hodge, MP. Photo by Chris Boland. Beyond the vandalism, physical attacks and defacing of Jewish institutions that have plagued the community, the huge increase in anti-Jewish abuse on social media has coincided directly with Corbyn’s leadership of the Labour Party. An estimated 4,000 party members have been reported for anti-Semitic postings on Facebook and Twitter. So far, Corbyn has appeared unable—or unwilling—to tackle the hateful attacks. Indeed, almost every week, new stories appear linking him with haters and Holocaust deniers. At a party gathering in early February, Labour MPs and members of the House of Lords unanimously passed an 11-point resolution challenging the party’s leadership for its failure to tackle the huge backlog of cases against the alleged perpetrators of anti-Semitic abuse. The party’s general secretary, Jennie Formby, a close ally of Corbyn, eventually revealed, under pressure, that 673 cases out of an estimated 4,000 complaints have been dealt with—and just 12 people have been expelled from the Labour Party. 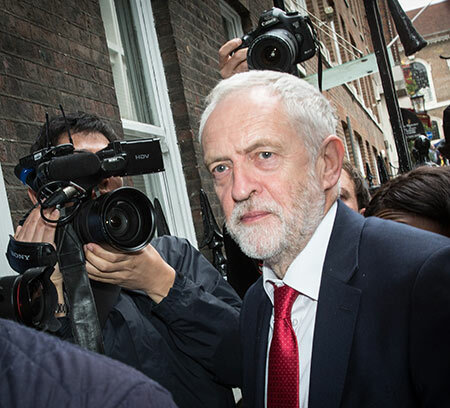 Under increasing pressure, Corbyn announced recently he was appointing a Labour Party member to serve as “Surveillance Commissioner” to address the problem of anti-Semitism. Corbyn, who first entered Parliament in 1983, has had more than 30 years to develop his extreme brand of politics. He spent those decades pursuing left-wing causes as well as becoming a vocal opponent of Israel. 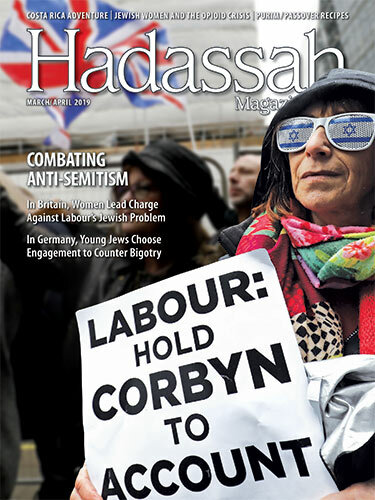 After Corbyn succeeded Jewish politician Ed Miliband as party leader, such opposition, and the consequent conflation of anti-Zionism with anti-Jewish hate, began to seep out of Corbyn’s inner circle and become commonplace in the wider party. A close associate of Corbyn, MP Emily Thornberry, who could become foreign secretary if Labour wins the next election, has even suggested that Corbyn has not dealt properly with anti-Semitism because “he has been so upset” at being called an anti-Semite. The pain and hurt felt by Anglo-Jewry over the direction of the party is exacerbated because of the long history of Jewish support for Labour. The Jewish Labour Movement, formerly Poale Zion, has been affiliated with the party for 100 years. On March 6, the Jewish Labour Movement held emergency meetings and voted to “stay and fight” what the group called the party’s “institutional” anti-Semitism, at least until a binding decision is made at the Jewish group’s annual general meeting in April. Although Jewish support for Labour has been declining for several decades, today, most Jews can’t conceive of voting for a Corbyn-led Labour Party, according to polls. The anti-Jewish hate spewing forth these days isn’t limited to targeting Jewish women—or even politicians. Jewish men, too, have been singled out, along with non-Jewish men and women who have stood up to the bigots. High-profile supporters of the Jewish community, such as J.K. Rowling, author of the Harry Potter series, and non-Jewish female MPs have also been the focus of online hatred. But Jewish female politicians have been hit the hardest. In November, Labour MP John Mann, a non-Jewish politician at the forefront of the fight against anti-Semitism in Britain, convened an extraordinary conference aimed at exploring the link between misogyny and anti-Semitism. The Sara Conference, named for the Nazi practice of calling all Jewish women by the name “Sara,” was seen as so important that Conservative Prime Minister Theresa May, in the throes of Brexit negotiations, attended part of the event. 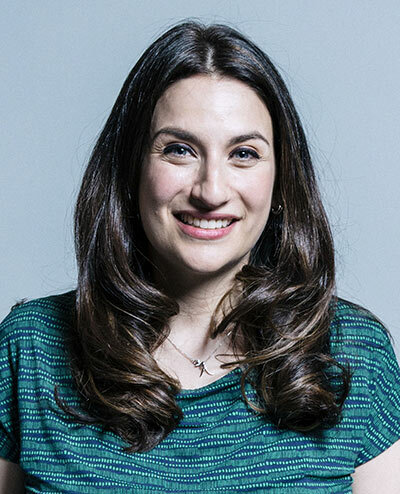 At the conference, research was unveiled showing that the four Jewish female Labour MPs faced 15 percent more online anti-Semitic abuse than their male counterparts. “We learned that Jewish women in public life or positions of power are the subject of more anti-Semitism searches than Jewish men in similar positions,” said the researcher, Seth Stephens-Davidowitz, a former Google data scientist. The study also showed that in April 2018, in the weeks after Corbyn held talks with Jewish communal leaders as relations were especially strained, there was a nearly 80 percent increase in anti-Semitic searches. Also last April, Sajid Javid, a cabinet member in May’s government, called a session on anti-Semitism in the House of Commons, the lower house of Parliament. Speaker after speaker, Jewish and non-Jewish, gave testimony about the wave of anti-Jewish hatred suddenly sweeping political life. She often receives police protection and, since 2013, four people have been convicted of racist attacks against her, with three ending up in prison. One, John Nimmo, was sentenced to 27 months after sending her death threats and hate messages through social media. “How dare these people suggest that we trifle with something so dangerous, so toxic, so formative to our lives and those of our families?” said Smeeth, who has had to move from her home for security reasons and, like Berger, often receives police protection. Of the four Jewish women, Margaret Hodge, the 74-year-old who represents the East London seat of Barking, is probably the least likely to have ended up a target of anti-Semitic attacks. An avowedly secular Jew born in Cairo whose parents, Hans and Lisbeth Oppenheim, fled Egypt in 1948 to escape rising anti-Jewish sentiment in the Middle East, Hodge has had two non-Jewish husbands. By her own admission, she had little to do with British Jews—until the general election of 2010. Facing an unexpected and fierce challenge from the leader of the far-right British National Party, Nick Griffin, Hodge asked the Jewish community for help—and got it when many Jews campaigned for her in her district. The issue escalated throughout last summer as the party considered adopting the International Holocaust Remembrance Alliance’s working definition of anti-Semitism, created by the intergovernmental body to try to define the phenomenon with a list of examples. Corbyn’s inner circle furiously opposed adopting the definition without serious amendments—specifically one focused on how to criticize Israel. Corbyn himself made an unsuccessful, last-ditch attempt to change the definition, suggesting it was acceptable to call Israel “a racist endeavor,” which the definition rejects. In September, Theresa May’s government’s adopted the IHRA’s definition, as have many other governments and agencies around the world. The party immediately responded by suspending her. The Jewish community was outraged at Labour and applauded Hodge, who was the first person to challenge Corbyn face to face. Her suspension was revoked weeks later, and Hodge has kept up the pressure. She said the core of the problem is that “there are those who see every Jew as a paid-up member of the Netanyahu fan club, who cannot make a distinction between being a Jew and voicing support for Israel as a place for Jews to live safely, who consider ‘Zionist’ a term of abuse, who deny the Holocaust and who hate Jews.” Once, she has said, she might have believed such views were anathema to the left—but that is no longer the case. 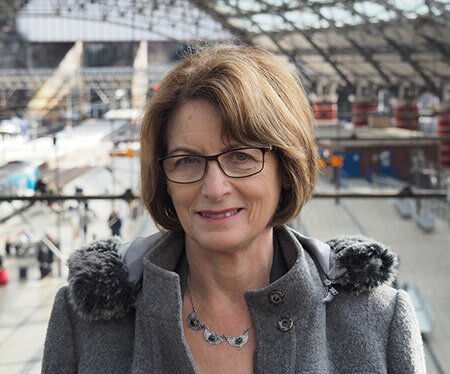 The fourth woman standing up against anti-Jewish hate in Labour is Louise Ellman, 73. Like Hodge, she has been awarded the British honor “dame” for her contribution to politics. A soft-spoken but formidable politician from a religiously traditional background, she has represented an area of Liverpool since 1997 and now chairs the important parliamentary Transport Select Committee. A willing, vocal advocate for Israel’s rights whenever the Middle East is debated in Parliament, she has been denounced on social media as “the foot soldier for Israel,” the “Honourable Member for Tel Aviv” or simply “that Zionist.” Ellman, however, a longtime leader of both Labour Friends of Israel and the Jewish Labour Movement, has refused to be cowed. “Once I realized I was labeled ‘that Jewish MP,’ I thought, ‘I’m going to carry on,’ ” she declared. Ellman, like the other women, has faced threats from her local constituency party to “de-select” her, which would remove the party’s automatic endorsement for her re-election. If de-selected, politicians face a choice between stepping down and being replaced by a more favored person or staying and running for re-election as an independent. Such threats come almost entirely from the extreme left, which targets MPs who either speak out against anti-Jewish attacks or ally themselves with the Jewish community. Some who are facing inevitable de-selection because of their opposition to anti-Semitism in Labour are beginning to jump before they are pushed. Examples include the long-serving MPs Ivan Lewis, who is Jewish, and Frank Field, who is not. Both are now sitting as independents until the next election. For her part, Hodge says that Corbyn needs to reach out to the Jewish community and apologize. “He has made the Labour Party a hostile environment for Jewish people,” she recently told the BBC. “As the leader of the party, it’s his job to make sure that the bureaucracy deals with the hundreds and hundreds” of outstanding cases of anti-Semitism. At the Sara Conference on misogyny and anti-Semitism, Hodge said she found herself facing one of the toughest challenges in her entire political career. But, she said, “I don’t want women, particularly Jewish women, to feel that they can’t play their role in politics because of the fear of sexism and anti-Semitism. Jenni Frazer is a London-based journalist. There is no such thing as permanent friends and permanent enemies…only permanent self-interest. What has happened in UK is similar to the USA; The Labour Movement and the Democratic Party are no longer those same parties of the past for Jewish people. The environment has changed for us. We must move to different political parties as our ancestors moved from country to country as the environment changed for them. Much as I decry these situations, the men who have committed violent anti-Semitic acts in the U.S. are (right-wing) Republicans. I could *never* be a Republican; it would be like converting to a different religion.